Located east of Geistown & west of Scalp Level. From PA Rte 56 (Scalp Ave.), take Berwick Road (TR 305) and travel for exactly 1 2/10 mile. 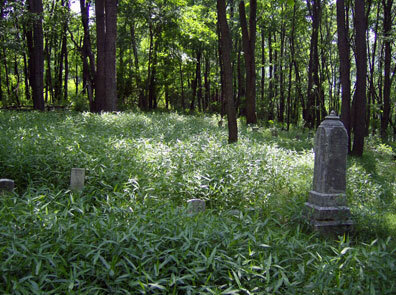 The cemetery is up the hillside to the left. It is situated about 150 yards behind the gas company pipeline on the UPJ Campus property.